From city-centre to wildly isolated, from ancient castles to ultra-modern designs, YHA’s network of hostels covers a vast range of different shapes and styles. For this issue we’ve had fun cherry-picking three ‘top threes’ across England and Wales: our oldest hostels, our most remote hostels and the properties we reckon are the most exposed to the elements. What they all have in common, however, is character and a warm welcome. It has a dungeon. It has archery classes. It has ghosts (maybe). Yep, this is a hostel in a 12th-century castle. There are remarkable stories within its walls: St Briavels Castle started life as a Norman fortress, King John used it as a hunting lodge and later it served as a debtors’ prison. Hidden among the folds of the South Downs near the ancient town of Lewes is this cosy farmhouse that can trace its history back to the 13th century. But it waited until 2013 to receive its highest profile visitor: none other than Queen Elizabeth II herself, who reopened the hostel after a refurbishment. Situated in the heart of the East Yorkshire market town of Beverley is this hostel, set in a converted Dominican friary. The oldest part of the building dates back 600 years, and even gets a mention in the Canterbury Tales. This extraordinary, and slightly wonky, building is as full of history as the town around it. Perched high up on the Lake District mountain that gives the hostel its name, this is the hostel with the longest walk-in in the network. 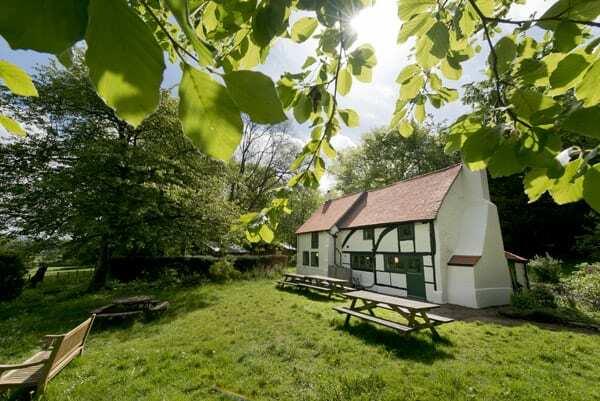 Mountain bikers and walkers both make the 3.5 mile climb to the hostel’s 470-metre-high eyrie, to encounter a cosy place warmed by log fires. No one forgets the first time they see YHA Black Sail, high up in Ennerdale and sat below the classic Lake District mountains of Great Gable, Pillar and one of Alfred Wainwright’s favourite fells, Hay Stacks. This former shepherds’ bothy is 2.5 miles from the nearest road, but it’s worth the walk-in for a truly atmospheric stay. Despite its location in the heart of Surrey, there’s a tangible sense of remoteness to Tanners Hatch. The nearest car park is 3/4 of a mile away down a rough track, and the location deep in National Trust woodland feels an aeon away from modern life. Two six-person safari tents are also available on site. ‘Most exposed’ may be a subjective qualification, but few could deny this legendary hostel isn’t in a thrilling location. The historic property sits right on the great pass below Wales’ mighty Snowdon/Yr Wyfdda, and is ideally located for adventures around Snowdonia. George Mallory himself once stayed here. High above the sea-battered cliffs of the north Cornish coast is YHA Tintagel. The interior may have been recently refurbished, but the surrounding area is one thick with ancient intrigue from the legends of King Arthur. After a yomp along the South West Coast Path, you can fall asleep here to the sound of crashing waves. 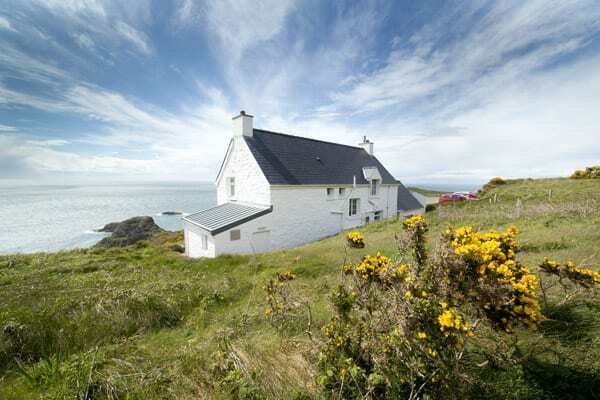 This remote hostel is set high on the wave-sculpted cliffs on the west coast of Wales. The views are spectacular, as are the glorious sunsets when the weather is forgiving. It is much-loved by walkers on the Pembrokeshire Coast Path National Trail and families enjoying activity breaks. There are some great beaches nearby too.